Since 2007 SOS have supported MEDiCT the Mexican Disabled Childrens Trust. A charity set up to provide specialist seating and equipment to Mexico’s poorest children. Their work enables children with severe posture abnormalities to enjoy life more by improving their quality of life, much like our custom seating does to children and adults in the UK. 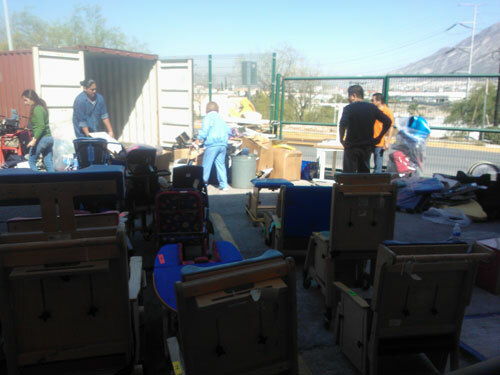 Specialised Orthotic Services have been helping fund the shipment of modern specialist seating to Mexico. We are pleased to announce that container number 7 has arrived in Mexico. The equipment can now be distributed to those in need. Staff and volunteers including parents were on hand to help unload the containers. We are excited to have received some photos from the container arrival filled to the brim with special seating products.